I have a guest with me, Eddie Zacapa. He is a heartrepreneur because he believes in volunteering and showing how leaders can volunteer. He’s the Cofounder of Life Enriching Communication and a certified trainer for The Center for Nonviolent Communication. Eddie, welcome. Tell me about Nonviolent Communication, Eddie. Nonviolent Communication is a communication process that was started by Marshall Rosenberg. It helps you get connected with your heart. It gives you an awareness of what your feelings and what your needs are in communicating from there instead of from your head where we usually use moralistic judgments when we’re triggered. It also helps you to connect empathetically with other people’s feelings and needs, what might be going on for them so that you can focus on needs and finding a solution to problems. Give me an example. You said that regular communication is judgment. It involves your head. How would communication be different when it involves empathy in your heart? Typically, when we get triggered, we get reactive and defensive. There’s a story in our head that we start to play. There are some shoulds and there’s usually, “They should do this.” Nonviolent Communication tries to steer away from that by focusing on what’s happening, stating facts and observations. Instead of saying, “Henry is aggressive,” which is an evaluation or saying, “You are aggressive,” which might cause someone to be defensive. It’s saying, “I noticed that you raised your voice or you closed the door loudly.” Just state what the facts are and then you share how you feel and what your needs are so that people can empathize with you as well. Then you’re trying to connect with them and what’s the need behind their behavior instead of judging them. We’re looking for the need behind the behavior instead of buying the smokescreen of the behavior. We’re not going to get caught up in the smokescreen and take some emotional trip with them, but we’re going to figure out what their behavior is doing. You started with volunteering. Tell me a little bit about how you got started in that. It’s interesting because I started volunteering since I was a kid. My mom instilled in me to give back. She wanted me to be a priest when I was a little boy and I started volunteering as an altar boy. I remember getting up early in the morning and going to do that before school. Then I also remember going to her work and helping her out. She was a secretary and I helped her with filing. I remember her co-workers asking me, “What do you want to be when you grow up?” I said, “I want to be the president of the United States.” They said, “What?” They were shocked but they thought it was cute. Even at that young age, I thought, “How can I make the biggest difference in the world?” I thought that might be one way to do that. When I was in college, I continued volunteering. I got steered into nonprofits. I’ve been working with nonprofits for twenty years and people started asking me, “How come you always have so many volunteers?” That’s when I started to write down what I was doing, some things that I learned in college and then I went to share that. You started with nonprofits. 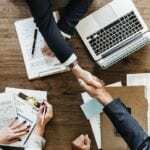 What are some tips about nonprofits that maybe regular business owners do not know or some insider view that you have learned from volunteers and nonprofits? How could someone find out about the needs of the community? Let’s say you’re starting a business and you’re an entrepreneur leading with the heart. How could you find out a need in the community and align your products and services with that? One great way is starting to have conversations with people, building a relationship and then asking what’s important to them. I’m sure there are probably some surveys you could take as well, but the idea is to connect with people. Not necessarily just tell them what they need, but try to find out from them what’s valuable to them and what would make a difference for them. Connect from the heart, ask them what they need and listen and then go from their perspective. 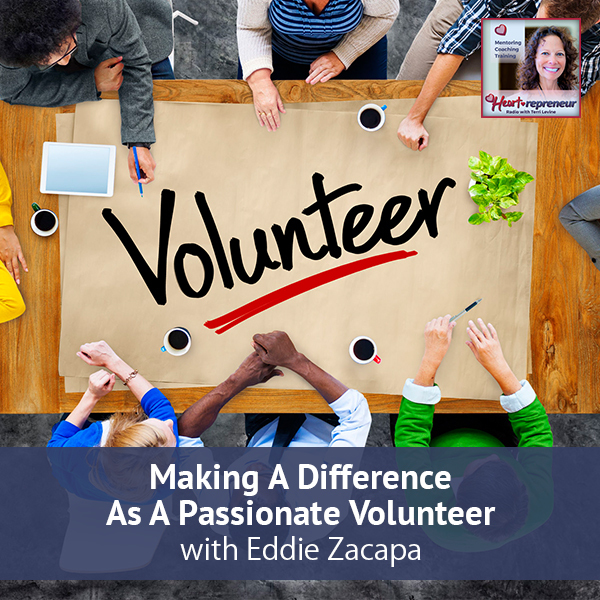 You said that in your nonprofit organizations, you’ve always had a lot of volunteers. Volunteers are like the staff. They’re like having staff. What are some of your tips for having volunteers that always show up in creating those relationships? Then I try to connect them in a role that aligns them with their passion. They’re motivated intrinsically and they’re not motivated by something that I’m going to give them or whatnot. That’s so much more powerful. That’s one thing. Another thing is building community. The volunteers that I’ve worked with have always been a part of the staff meetings that I’ve done. I’ve always valued their feedback. They feel they’re a part of the team and they have a voice. Over at Mercy Housing, all our volunteers got t-shirts that said, “Community Care Team,” so people in the community knew who the leaders were and they can go to them. They would use those whenever they were serving the community. What I’m hearing is to find out their passion. They’re intrinsically motivated and that takes a lot of burden off of the leader because the person already has that internal motivation. Give them recognition by giving them the t-shirts and make sure that their voices are heard by including them in places where decisions are being made. You wrote a book, Essentials for Cultivating Passionate Volunteers and Leaders. Tell us about that. This is a book that’s like a manual. I wanted to keep it short and to the point so anyone could use it as a resource quickly. I pretty much put down things in there that I think are important for working with volunteers. 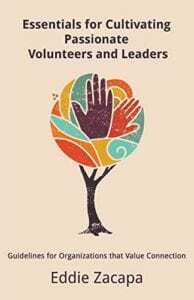 It talks about connecting volunteers with their passion. It talks about building that relationship, building a community, how to find volunteers and how to outreach. Then even when you wouldn’t think someone would volunteer, to still give them an opportunity. There’s a whole chapter also on giving feedback as well because that’s something that’s important in any work environment. How do you give nonviolent feedback? One of the first things you want to do is ask them if they’re open to hearing feedback. Sometimes we just barge in and we tell them what we’re thinking. That way they have a heads up that it’s coming. Another thing is maybe to schedule a time that we will meet with them and let them know. Then to be clear about, also stating what they’re doing right that you appreciate. Make an observation of what’s working and then sharing something but being very specific. A lot of times when we give feedback, we tell people what we think. That’s not what we’re going to do here when we’re giving feedback. We want to make sure that we’re stating what we’re observing. If there’s a concern, we can share that. We could say that we’re concerned because we have a need for it. Maybe there’s a volunteer, for instance, that raise their voice or maybe they were talking to a kid and they’re standing up. You can suggest, “I noticed the other day that when you were talking to this child, you were standing up and they were a lot lower than you. Maybe you can get at their level and get on your knees when you talk to them. Would you be willing to try that next time?” Something like that. It could be giving feedback but not implying that they did anything wrong because that’s when people get defensive. I think that’s excellent because you withhold the judgment piece. They’re not trying to dominate a kid. They’re just standing up and talking to the child and to realize that maybe eye-level communication is more effective. Eddie, how do people find out more about you? People can go to HarmonyOfTheHeart.com. That’s my blog. They can go there. There are tons of articles and videos that I’ve done. Then they could also get the book there. 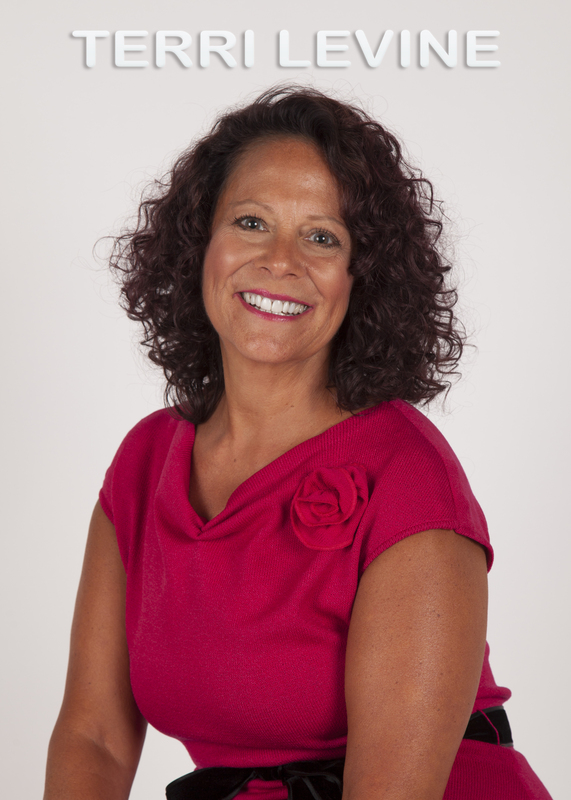 Then there’s EZacapa.com that talks about the work that I’ve done in the domestic violence field. I’ve worked in the domestic violence field for years and had some incredible outcomes there too. One last thought that you want to leave our audience with. Humility and service is the key. Eddie, thank you so much for your time. Thank you for your volunteering and for sharing all your trade secrets about how keeping those community relationships and keeping those volunteers intrinsically motivated. The Harmony of the Heart blog, that’s beautiful. Thank you so much. Thank you. I enjoyed being on the show. Eddie Zacapa is a Resident Services Coordinator with Mercy Housing in El Dorado Hills and Shingle Springs and works with volunteers on a consistent basis. He has worked with volunteers for over 20 years with various non-profit organizations. 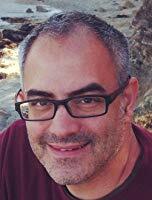 He is also a certified trainer with The Center for Nonviolent Communication (CNVC). 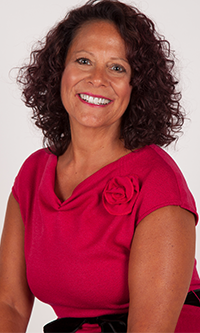 He also facilitates workshops where he assists individuals, couples, organizations, schools, families, and communities. Eddie is also the co-founder of Life Enriching Communication (www.lecworks.org). In his workshops, he assists individuals in understanding and implementing NVC principles into their daily practice. 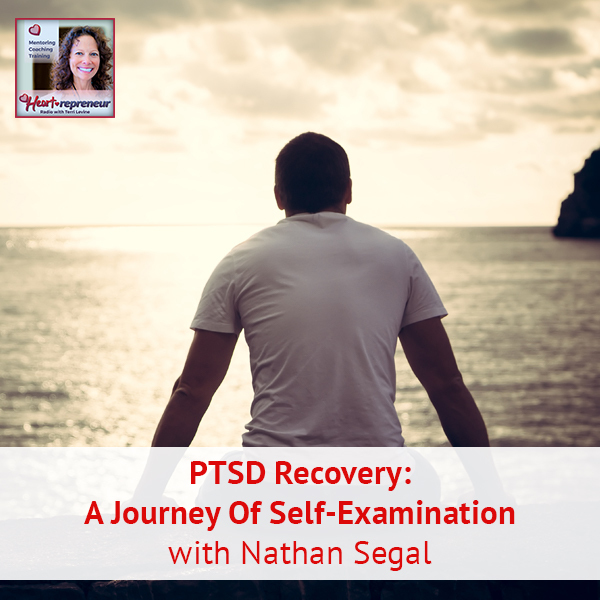 He has also worked in the domestic violence field for over 16 years and developed a year-long court approved NVC-based batterers’ program with an amazing 0% recidivism after eight years. 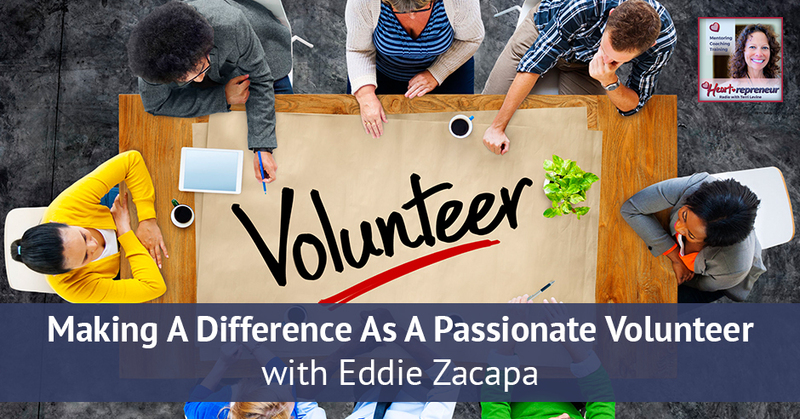 Eddie is the author of Essentials for Cultivating Passionate Volunteers and Leaders: Guidelines for Organizations that Value Connection. He lives in Sacramento, CA with his family. He earned a Bachelor of Science degree in Journalism from San Jose State University and a Bachelor of Science degree in Bible and Theology from William Jessup University. You may contact Eddie at eazacapa@gmail.com.